Episode 291: ControlTalk NOW — Smart Buildings Videocast and PodCast for week ending Nov 11, 2018 is one of our most exciting and anticipated CTN’s of the year, as we announce the finalists for the 2018 ControlTrends Awards! Congratulations to all of the nominees and all of the finalists! 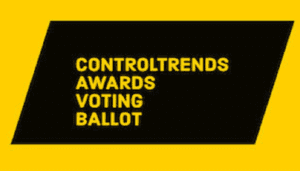 We thank our ControlTrends Community for the largest nomination phase engagement ever, with participation from over 40 countries. Our sincere apologies to Cyber Power and Therese Sullivan, who both made the finals and were not announced on the broadcast (due to Eric’s poor eyesight). Cyber Power made the finals for Peripheral Vendor of the Year and Innovative Wireless Product Solution of the Year. Therese Sullivan was recognized as a finalist for the ControlTrends Women of the Year. Finally, very special thanks to all of our sponsors! Now, the final voting phase begins. Please use this link to cast your vote — and make sure to pass this voting link along to your colleagues and communities to vote as well. We look forward to seeing you January 13th, 2019, in Atlanta. 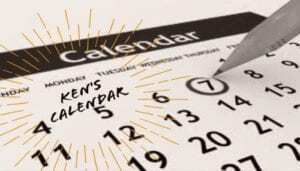 Our other posts this week include: Siemens RDS 110 — Smartest Thermostat Yet; 2018 Honeywell Momentum Voice of Customer Wrap-Up; Project Haystack Announces Sponsors of the 2019 Haystack Connect Conference; and Learn How to Protect Your Facilities from Network Security Breaches webinar from IoTium. Siemens RDS110 — Smartest Thermostat Yet — 6 Powerful and Accurate On-board Sensors. Understanding your needs with smartness! 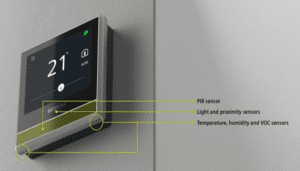 The Siemens Smart RDS110 Thermostat has been developed to provide professional control and operation of heating applications. With its clean design it fits perfectly into every interior. It is always in touch with its surroundings thanks to six powerful and accurate sensors: temperature, humidity, light, proximity, presence and organic particle detection. 2018 Honeywell Momentum Voice of Customer Wrap-Up! 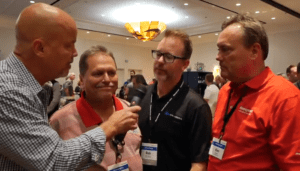 ControlTrends closes its video coverage of the 2018 Honeywell Momentum Event with a Voice of Customer wrap-up with Mike Schwan, Regional Manager and Rob Thompson, Technical Services Manager, Total Controls, a division of RSD, and Pat Marsala, President M & M Controls, and Jeff Ashe, Vice President, Electrical Automation Services, provide an in-depth recap of the 2018 Honeywell Momentum. 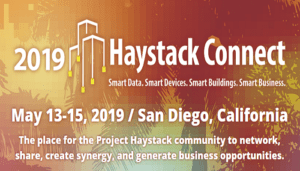 Project Haystack Announces Sponsors of the 2019 Haystack Connect Conference. Project Haystack (https://www.project-haystack.org), a 501(c) non-profit organization focused on developing common standards to streamline the interchange and interoperability of data among IoT devices, smart equipment and systems, today announced the first nine sponsors of Haystack Connect 2019 are J2 Innovations, Key2Act. Bueno Systems, Conserve It, KMC Controls, SkyFoundry, Lynxspring, Automated Buildings and Memoori Research. Learn How to Protect Your Facilities from Network Security Breaches. Attend this webcast and learn how to determine who is on your network, and what they’re doing there. Review strategies to control. monitor, manage and audit all vendor access to critical systems across a building portfolio, and protect a facility’s data, infrastructure, and assets from cyber attacks.